you matter. you are enough. I had the opportunity to join the Alabama Independent School Association community this week to participate in the annual PD day. It was local and featured a keynote rock star. I have “known” Angela Maiers via my PLN for years but had never seen her IRL, as the lexicon goes. Her Choose2Matter movement completely aligns with my beliefs as an educator and a school leader. She inspired a room of teachers to first, believe that they matter and second, believe that students matter. While this might seem to some as cliche or fuzzy, it is paramount to serving children as educators. We must believe in the innate belonging and worth of our students for no reason other than they exist. (Read that again.) Whether or not they get the material, make the A, score the touchdown, run the fastest, draw the best picture, solve the equation first, or sing the best does not matter at all if we do not believe in their worth as a human. They matter. Just because they are themselves. And so do we. As teachers, we might be amazing at inspiring kids to work hard, we might be experts in project based learning, we might run all the little programs behind the scenes, coach the winning team, or we solve the tech problems for everyone else. However, we matter just because we exist as humans. 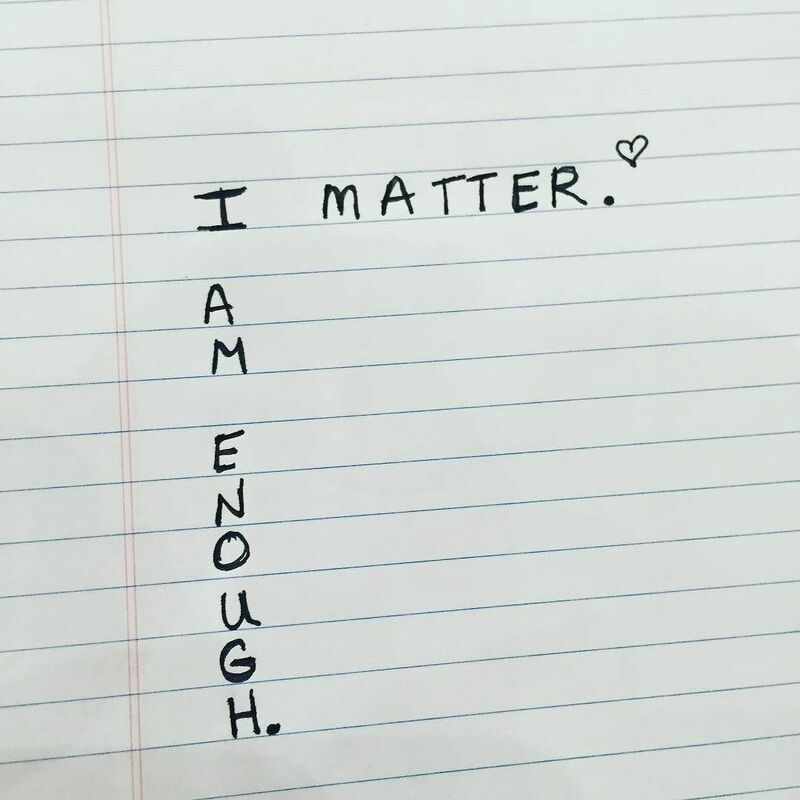 We matter and we are enough. Angela showed us with science, including the Laws of Primacy and Recency, how important it is for us to feel valued before we can learn. We need in those first few seconds of interaction to be valued as a person before the brain can take over and retain or process information. We need to know at the end of each class or day that we matter. We need to believe that teachers believe in us to be successful. Our limbic system (the feels) is what is going to help us move past the frontal lobe and into the part of our brains dedicated to learning. Beyond science, she showed us her heart. She gave us a charge–build the habit of telling ourselves that WE MATTER and WE ARE ENOUGH, every day for 30 days. When we build this habit in ourselves, we will transform our own lives as the adults. When we believe this for ourselves, we can believe it for others. People sometimes say, “I don’t have enough time to teach character in my classroom.” I always come back to, you don’t have time NOT to.” In the long run, the time we spend investing in our children’s sense of self-worth will yield us time in teaching and learning of content. Our relationships will yield learning. In the end, we will all be better for taking the time to tell each other we matter. Thank you, Angela. You, too, matter.